Drama. Born to traditional Punjabi parents and growing up in Wolverhampton, Sathnam has gone on to build a very different life for himself in London. Based on the critically acclaimed memoir The Boy with the Topknot by journalist Sathnam Sanghera. Born to traditional Punjabi parents and growing up in Wolverhampton, Sathnam was the first member of his family to go to university and has gone on to build a very different life for himself in London. Excelling in his career as a columnist for The Times and living with his lovely English girlfriend Laura, he keeps this life very separate to the one he has in Wolverhampton. He cannot bring himself to tell his family he is going to be the first one to marry out of the tightly knit Sikh community he was brought up in. As he tries to gather the courage to introduce Laura to his family, he is sidelined when he discovers a painful family secret which turns his world upside down and forces him to revaluate his priorities and choices. 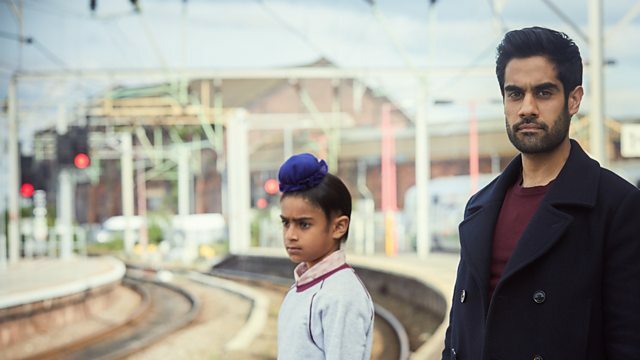 Sathnam realises he must bring his two separate worlds together or risk losing everything and in so doing, he has to be completely honest with the two main loves of his life - mother and girlfriend - for the first time ever. This is a touching, humorous and emotional rites-of-passage story about a second-generation Indian man growing up in Britain and how he tries to juggle family, love life and career. It explores the sensitive subject of mental illness with courage and honesty, and by being authentic and specific to Sathnam and his family, it tells a universal truth about the human heart.